The discussion contained in the following pages is a part of a much larger volume originally published in Philadelphia in the year 1817, with the title: “A Historical Sketch of Opinions on the Atonement, interspersed with Biographical Notices of the leading Doctors, and Outlines of the Sections of the Church, from the Incarnation of Christ unto the present Time: with Translations from Francis Turretin on the Atonement,” by James R. Willson. The volume was dedicated to the Rev. Dr. Alexander McLeod. Its nature is well described in the title. The author traced the varying progress and development of opinion on the atonement, from the beginning of the era down to his own immediate contemporaries. While scrupulously careful to represent all with impartiality, he made no pretence of “dealing gently with errorists.” On the contrary, he aimed to “speak out with boldness and candour,” and at times even with “severity.” His work, extending over so large a field, could of course be nothing more than a comprehensive outline or summary of its subject. After subserving a useful purpose in the conflicts of the former part of this century, it seems to have fallen into comparative oblivion, and has been for many years out of print. The latter portion of the volume, being the translation which is here reproduced, contained the matter, which is found under Questions 10–14, in Locus Decimus Quartus (De Officio Christi Mediatorio) of the Institutio Theologiæ Elencticæ of Francis Turretin, with the insertion in one instance of a short extract from another portion of the same work. This part of Dr. Willson’s work is apparently as much called for now as it was originally. 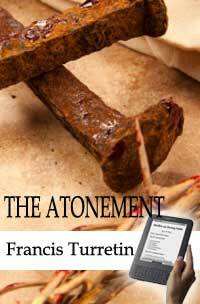 The various questions relating to the atonement are still discussed with frequency and earnestness. The constant faith of the Church on the subject continues to be firmly held by the general body of the Reformed; but it is exposed to incessant attacks in every generation, generally from without, but sometimes from within, the pale of orthodox communions. And while contemporary authorship has furnished some admirable presentations of the common faith on this important point, it is doubted whether any other work of the same compass presents so clearly and forcibly the truth of God as to the Nature, Truth, Perfection, Matter, and Extent of the Satisfaction made by the blessed Saviour. The lucid arrangement of topics, compact argumentation, fairness of statement, and constant appeal to the law and the testimony, leave the careful reader little to desire. The translation as issued by Dr. Willson was in the main faithful and accurate. In some cases, however, the learned divine, by an oversight, failed to express the exact sense of his author; while in many more the carelessness of the proof-reader did him great injustice. Pains have been taken to collate the version line by line with the original, so as to amend any inaccuracies. Nothing is claimed on the score of rhetorical finish or the niceties of verbal expression, but the work as now published is believed to present in simple and perspicuous English the exact line of thought and argument presented by the great Genevan professor. It only remains to be added, that while the Board of Publication approves of the work as a whole, it is not to be considered responsible for every shade of opinion on minute points, or every interpretation of quoted Scripture.